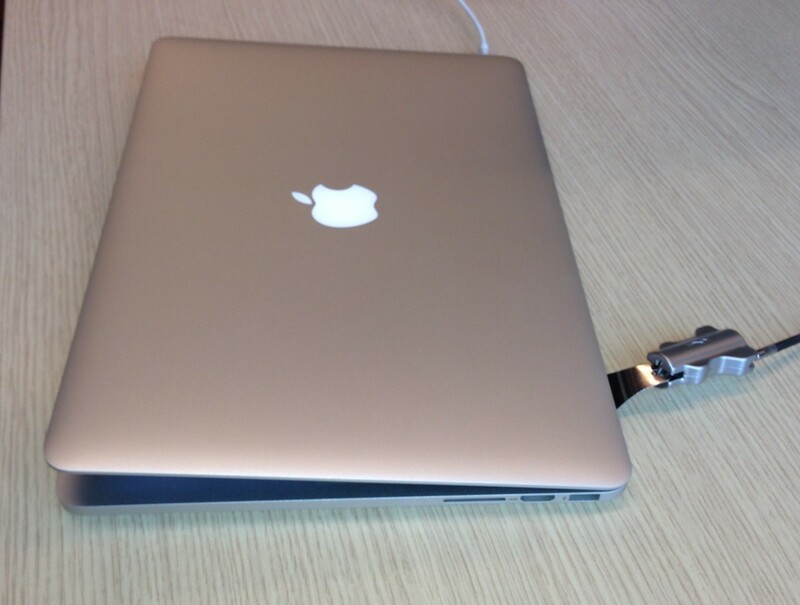 My new laptop is the MacBook Pro from Apple. The processor power, the brilliant screen and the speedy SSD make it to my perfect device. To keep it MY device I needed a security measure. Since it lacks the Kensington slot I decided to got with the PNY ThinkSafe system. 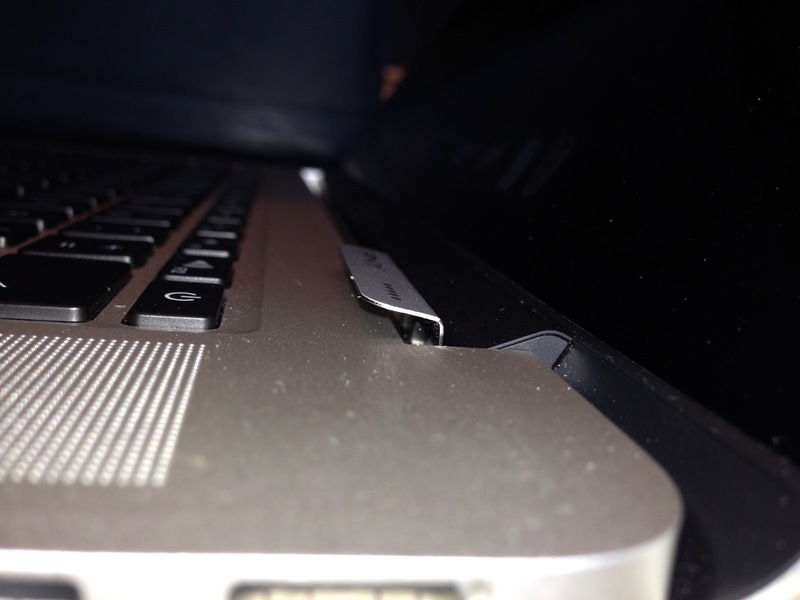 The solution PNY came up with is simple yet effective: put a metal plate through the hinge and lock it. This works very well. I haven’t had any scratches or difficulty inserting the hinge link. Only downside is the laptop cannot be fully closed. 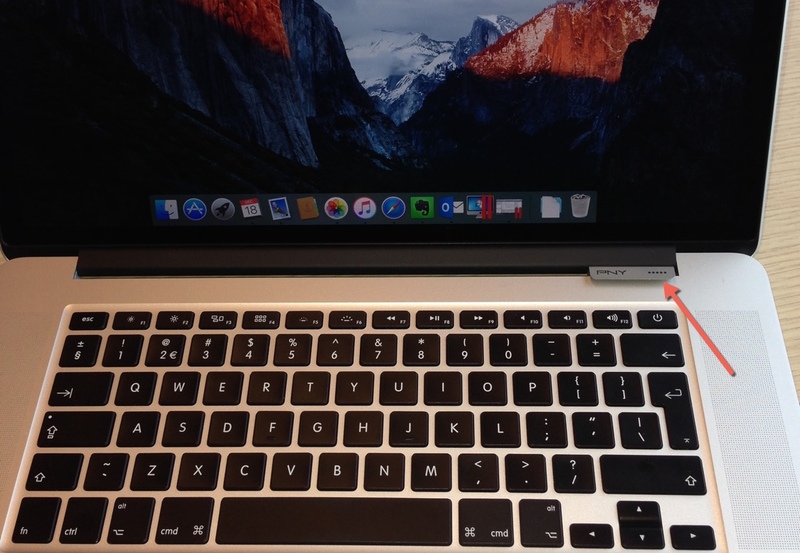 This entry was posted in Security and tagged macbook, PNY. Bookmark the permalink.